Barça B secured a point away to l’Hospitalet (2-2) and are now one step away from clinching the league title in Group 3 of Division 2B for the fifth time in their history. Goals from Fali and Cardona and some crucial interventions from Varo were key in helping Barça come home with a point against a side who needed a win to move away from the bottom of the table. Gerard López’s team could become champions as soon as this Sunday depending on how second-placed Alcoya do. If not, they could do it at the Mini against El Prat next weekend. The academy side played with attacking intent from the start and they put the home team under considerable pressure. However, l’Hospitalet were very clinical and this ensured they got something out of the game with a Salinas goal two minutes from time. 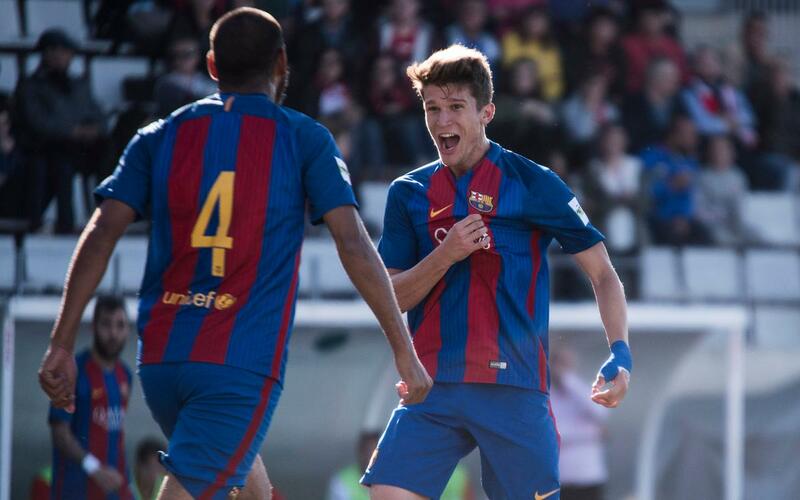 Barça B took the lead in the first moments of the game when Perea sent in the perfect corner and Fali headed home in the 9th minute. However, they conceded four minutes later and they had to show character to respond with a second set-piece goal. Cardona made the most of a Fali lay-off to bury a shot in corner of the goal in the 27th minute. The second goal gave the blaugrans more control over the match and they proceeded to control possession for extended periods of time against but were unable to score a third against a very organised defence. The second half was like the first with Barça B playing their possession football and controlling the tempo of the match. However, l’Hospitalet made the most of a rare foray forwards and Salinas levelled the scores two minutes from the end. Barça’s keeper Varo, who had pulled of a succession of excellent saves, was unable to do anything about the equaliser and that delayed Barça’s title celebrations. The draw stretches López’s team’s 11 match unbeaten run and they will surely be proclaimed league champions either on Sunday or next week against el Prat at the Miniestadi.